The Wager Profits Affiliate Program are blacklisted on Affiliate Bible, and all Dealer Dan Gaming Network sites. The Wager Profits Affiliate Program, at the time of blacklisting, consist of: PayNo Rake Poker, Action Poker, TigerGaming Poker, PokerInCanada.com, SciFi Casino, Breakaway Casino. If you are a poker or casino player at any of the aforementioned online poker rooms or casinos, we highly recommend you stay away from them. Withdraw your money, and forget they exist. 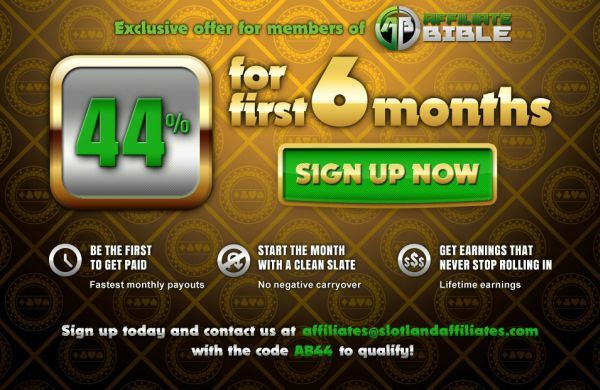 Wager Profits are blacklisted on Affiliate Bible due to non-payment and non-communication. Wager Profits were a program that I have worked with for years, dealing with various affiliate managers. The last correspondence I had with a Wager Profits employee was Richard Green in 2010. In approximately March 2011, I reached out to Wager Profits to get confirmation of some players who had signed up at their poker room. I received no response. I attempted to contact them via various different methods, however I could not get anyone to respond to me. In October 2011, I noticed that I was no longer receiving affiliate payments from Wager Profits, despite being due. Again, I attempted to contact them via every possible method, but was unable to get anyone from Wager Profits to reply. I checked with various other affiliate websites and forums, and saw that every other affiliate was in the same boat – owed money, but Wager Profits weren’t responding to any communication. To make the matter even more frustrating – all of their brands were still up and running, and you could log into the Wager Profits backend and see the commission you were “earning”. Of course, there was no possible way to get this money. Due to this, and after exhausting every possible method of communication avenue trying to get in touch with Wager Profits, I have no choice but to blacklist Wager Profits and remove the Wager Profits Affiliate Program Review from AffiliateBible.com. I have also issued player advisories. In March 2012, Wager Profits contacted me. They informed me that in December 2011, the Action Poker Network was sold to Julian International Holdings, and was going to become the ChicoPoker Network. They informed me that Wager Profits and their brands was part of the sale, and they were terminating all contacts. Despite that, they wanted to negotiate with me a deal to make a settlement payment for any affiliate monies owed in 2011. We also worked out a deal to receive payments for the first few months of 2012. The employee who contacted me was Dave Lacia. I thank Wager Profits for at least providing SOME compensation due to this. However I highly recommend avoiding this brand now or any time in the future, and also staying away from any properties owned by Julian International Holdings LTD or the Chico Poker Network. The way they handled this matter shows that they are 100% untrustworthy. FYI, as of June 2012 I am still “earning” commission at Wager Profits brands from bringing players in(even new players from OLD pages are showing up) but am of course not actually receiving that commission. This article was written on June 29, 2012 however all articles are looked at on a monthly basis and updated to keep them relevant.